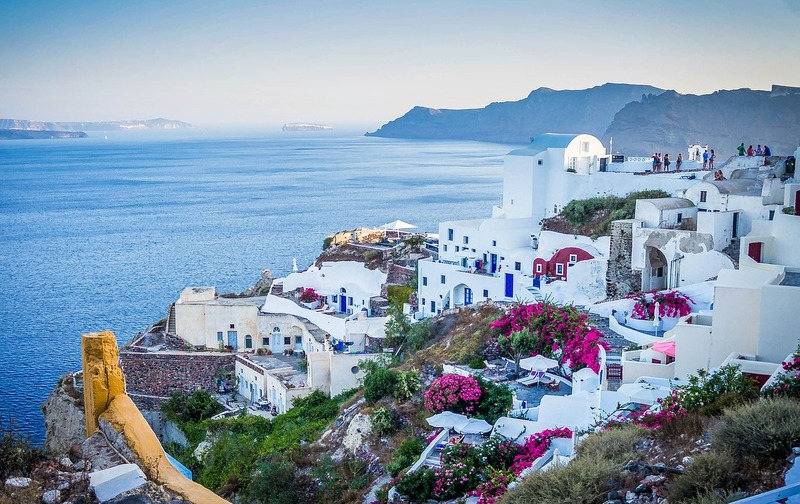 From Athens to Zurich, there are hundreds of incredible cities scattered across Europe to explore. Some truly shine in the winter months, blanketed in snow, while others are best experienced during the summer when the sun is at its warmest, and the beaches are at their prime. Once winter retreats and the Amstel river begins to thaw, you can’t go wrong with a visit to Amsterdam. The Netherlands are well-known for their impressive tulips, and they’re in full bloom during the spring months. Take a day trip from the city to experience these flowers at a proper garden, or stroll through Amsterdam’s one-of-a-kind floating flower market to experience these stunning bulbs in person. Aside from the flowers, you’ll have fun cycling through the city streets, relaxing in Vondelpark, and experiencing one of the many festivals that take place this time of year. Slovenia is one of Europe’s hidden gems, a truly beautiful nation largely untouched by tourism. During the spring, the city’s strong cafe culture makes it easy to find a great spot to relax, grab a bite to eat, and soak in the scenery. You’ll find fascinating museums, beautiful galleries, and world-class shopping opportunities, but you shouldn’t spend the whole trip indoors. Instead, you should take advantage of the excellent weather to explore the nearby Skocjan Caves, one of Slovenia’s natural wonders, or head northwest of Ljubljana to canoe or kayak on Lake Bled. Like Ljubljana, Budapest doesn’t always top travelers’ lists of places to visit, but this city is well worth exploring - especially during the springtime. Enjoy a luxurious soak in a thermal bath, or embrace your sense of adventure by touring one of the nearby caves the city is known for. Budapest is also home to lots of spring festivals and celebrations, so you should check out what’s happening around town while you’re there. Time your visit right and you can even experience the Budapesti Tavarszi Fesztival, a two-week festival celebrating the city’s cultural roots through musical performances of all varieties. This list wouldn’t be complete without Paris. The City of Light truly comes alive in the spring, shaking off the chill of winter to embrace the warmer weather. You’ll find outdoor cafes overflowing with patrons, couples picnicking in parks, and flowers in full bloom across the city, overflowing from baskets on balconies and filling gardens with brightly-colored blossoms. 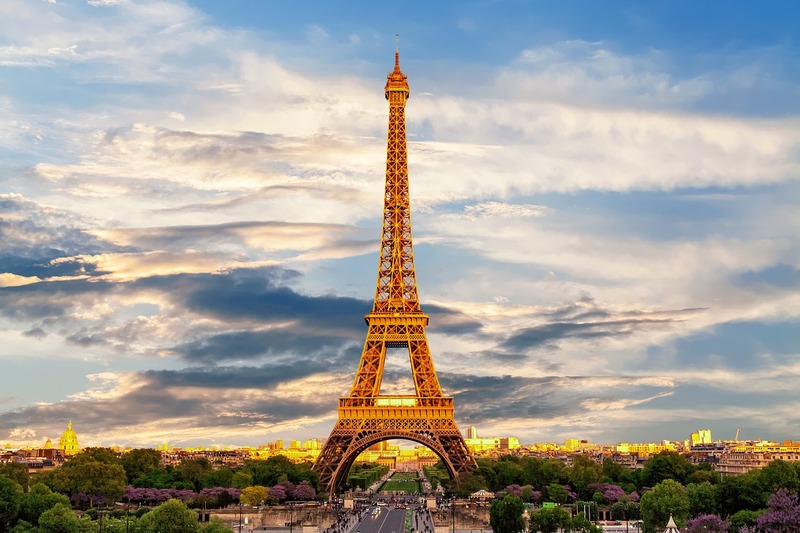 And, of course, you’ll always find the excellent food, impressive museums, and incredible architecture that Paris is known for. 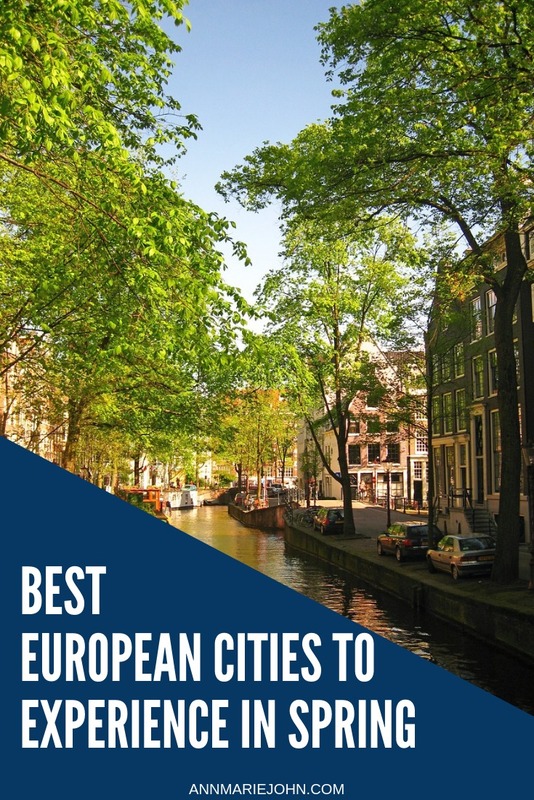 From well-known capitals to lesser-known destinations, these are some of the best cities to experience during the spring in Europe. Whether you’re traveling alone or bringing the whole family along, you’re guaranteed to have a lovely trip.